If I want to view one of your properties, what is the next step? Fill out the online application and submit it to us along with the $50 application fee per adult. each applicant must have a different email address. Submit your payment with the methods approved. Your application will be run with the follow up email that you receive and you will not be charged until that is done. If I am thinking of moving to a rental home, how soon should I start looking? You should start no earlier than one month prior to your target move date. Rentals will not generally be held for a particular tenant any longer than that. Please include Tenant Name & Property Address with payment. Payments can be made in person (cash is not accepted) at our office during normal business hours (Monday through Friday 9:00am-5:00pm. For your convenience we do have a Drop Box for payments made after hours. Rent is still due on the 1st of the month regardless of weekends or holidays. Any Checks returned by your bank will need to be replaced immediately with a Cashiers Check or Money Order including NSF fee and any late payment fees as additional rent due. Please note: All future payments will then need to be in the form of a Cashiers Check or Money Order after a NSF check is presented. You can also use our online system to pay your rent via EFT or with a credit card.. online at the tenant portal. All Maintenance Requests must be submitted in writing to Realty World through our Web Site at www.propertymanagementjax.com or www.realtyworljax.com and the login link is under the Account Log In tab on the main page. All Maintenance Requests will be reviewed and Realty World will contact the appropriate vendors who will then contact you to schedule any approved repairs. For emergencies please call our office at 904-215-5714 extension 102 and if after hours please leave voicemail. In order to make the appliacation process easier and smoother for you we have prepared a document to guide you through the process. This will answer most questions that you as renter may have. If not please feel free to contact us and we will answer your questions. Please click on the following link. Please click on the link below to access our Rental Application and Application Procedure. Any adult occupying the property will be required to submit a completed application along with the application fee of $50 and use your credit card, debit card or do an EFT/e-check. Sorry personal checks are not accepted. Each applicant must have a different email address. Submit your payment with the methods approved. Your application will be run once the follow up email that you receive has been responded to and your credit/debit card will not be charged until that is done. You have an answer within 24 hours. Please click on the link below to access our Rental Application and Application Procedure. Any adult occupying the property will need submit a completed application along with the application fee of $50 in certified funds (cashier's check or money order) due at time of application payable to Realty World Executive Group or apply online and use your credit card or do an EFT/e-check. Sorry personal checks are not accepted. Homes that are professionally managed get better, more qualified renters, have fewer vacant periods (the highest cost to owners of rental property is vacancy) and are better maintained than those homes managed by owners. People rent homes for one reason. They can usually rent cheaper and with less hassle than owning their own home. Professionally managed properties offer tenants a more hassle free renting experience. This ensures a happy renter and greatly increases renewal at the end of the lease period (Renter retention is key to having a more profitable investment property). Independent owner/managers typically use inferior rental contracts that do not completely define the rental agreement. Our detailed agreements are time tested and specific to each property. Don't get caught in a bad lease agreement by using generic contracts. Interaction between property owners and renters tends to be confrontational especially when they are in a poor lease agreement that does not outline in detail what the parties individual responsibilities are. The more interaction between owners and renters, the greater the chance for disagreement. Third party management greatly improve renter/owner relationships and renter retention. Copy and paste the link below into your browser. Click the link below to be directed to your log in area for your property. Pay your rent, look up your lease or submit repair requests. 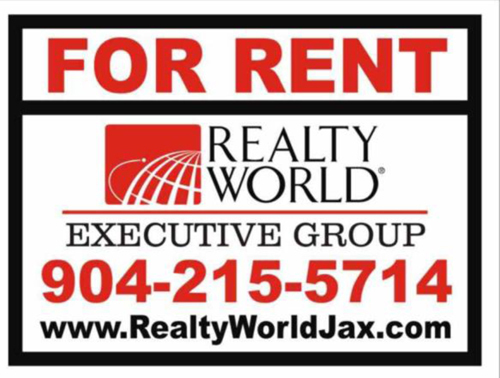 If you have no account name or password please email rentals@rwjax.com and we will get the information to you.